Wherever you may store your things, packing your items correctly is a must. 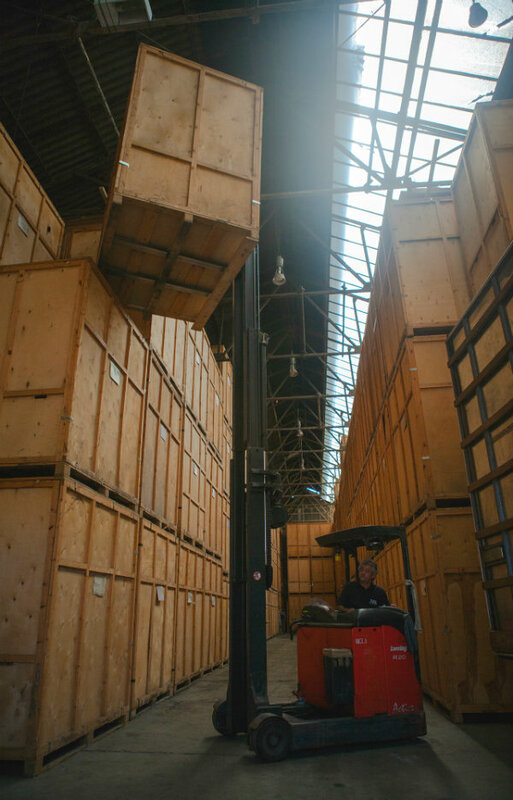 Here are a few Storage Packing Tips from the team at AK Storage solutions in Sheffield. The whole process of preparing all your personal belongings and packing up your house to relocate to a new home can often feel like a nightmare. Finding the time and energy to ready your things somewhere between your job, perhaps looking after children, visiting family, as well as other ordinary things, can make the whole process seem problematic and stressful. It is not uncommon for all the packing to be left up until the very last minute. Nevertheless, packing up your things early on in the removals process can help you in two different ways. Firstly, it will make your property more desirable for potential buyers. Secondly. it will certainly help reduce stress levels.in the lead up to moving day. AK Storage advises starting packing before your estate agent comes round and puts up the for sale sign. Try and throw out the items that you feel that you no longer need. You might like to think about donating to a charitable organization the things which may still have some value. Eliminating the items you won’t be taking along with you can make unpacking much simpler that will create more room for buyers to see when viewing the property. In the present day, a considerable amount of properties doesn’t include a garage for storage space so after you have cleared out a room this could be the fantastic area to store things out of the way. Put aside delicate things for additional bubble wrap and make certain that you label these boxes that ought to be taken care of very carefully, remember our previous Storage Packing Tips, the ones with relocation advice. It really is worth remembering that not everyone who might be transferring your boxes is fully aware of the valuable items inside. You are likely to be doing a considerable amount of transporting of your items in boxes so consequently, it is crucial that you utilize smaller boxes for more substantial heavier items and larger boxes for less heavy things. Labeling your boxes with its contents and its room destination can help to save considerable time, effort and energy when unloading. Needing to sort through your entire of boxes to locate that one necessary item is definitely the very last thing you’ll need. As soon as all of your boxes have been completely relocated to the correct room and all the necessities unpacked, don’t be induced into overdoing things. Take a moment to relax and unwind, you’ll have been through a hard working day and by this point, there is absolutely no rush to get everything completed in a single day. Read here for more advice on Sheffield Storage Advice.